On May 7, Torys hosted a reception at Oro Restaurant for attendees of BioFinance 2008, the Canadian life sciences industry's leading investor conference. Cheryl Reicin and Eileen McMahon would like to thank the more than 200 attendees for making the reception so memorable. We would especially like to thank our special guests Frederick Frank (Vice Chairman of Lehman Brothers), Jonathan Silverstein (General Partner of OrbiMed Advisors LLC) and Mary Tanner (Life Science Partners New York). 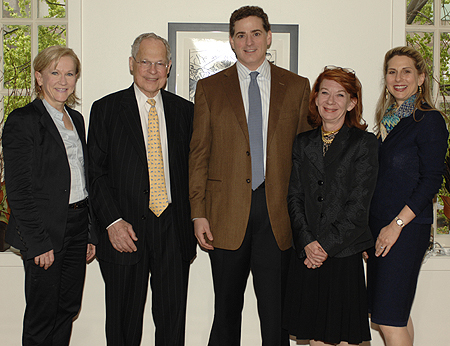 From left to right: Eileen McMahon (Torys), Frederick Frank (Lehman Brothers), Jonathan Silverstein (OrbiMed Advisors), Mary Tanner (Life Science Partners) and Cheryl Reicin (Torys).